Provide comfort for the family of Howard Treat with a meaningful gesture of sympathy. 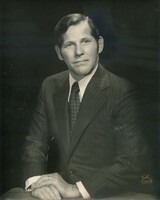 Howard B. Treat, Jr., age 87, of Orange, passed away on Saturday, January 12, 2019 in Coachman Square at Woodbridge. An outdoorsman, world traveler, home handyman extraordinaire and a caring employer, he was born on September 30, 1931 in Milford to the late Howard B. and Edith Butler Treat, Sr. Howard served proudly in the US Army Paratroopers during the Korean War and was a member of Yale, Class of 1953. Before retiring, he was employed as the CEO from Milford Bank and prior to that Derby Saving Bank. An active member of Orange and Milford communities, he was past Chairman of the Board at Milford Hospital, head volunteer at the Milford Red Cross, and a member of the Milford Rotary Club, Orange Rotary Club and the Appalachian Mountain Club. Mr. Treat is survived by his loving wife, Patricia O’Leary Treat, son David Treat and his wife Laura of Hampstead, NH, daughters Jamie Treat of Seattle, WA and Judy Ruggiero and her husband Anthony of Orange, stepson William Hileman of S. Boston, stepdaughter Susan Hileman of Medford, MA, grandchildren Melissa Treat, Kylie Treat, Emma Treat and Andrew Verderame, sister Beverly Bettencourt of Woodbridge, nephew Bryan Bettencourt and niece Susan Cay. Besides his parents, he is predeceased by his first wife Carol Dawson Treat. Calling hours are Wednesday, January 16, 2019 from 4pm to 7pm at the Smith Funeral Home, 135 N. Broad St., Milford. A funeral service will be held in the Orange Congregational Church, 205 Meetinghouse Lane, Orange at 10am on Thursday, January 17th. Interment will follow in Orange Congregational Cemetery. In lieu of flowers, donations may be made in his name to the Beth El Shelter, 90 New Haven Ave., Milford, CT 06460 or Community Soup Kitchen, 84 Broadway, New Haven, CT 06511. The family would like to extend their deep appreciation to the wonderful staff at the Coachmen Square at Woodbridge. To send flowers in memory of Howard B. Treat Jr., please visit our Heartfelt Sympathies Store. Provide comfort for the family of Howard B. Treat Jr. by sending flowers. So sorry, Trish. My heartfelt sympathy for the loss of your beloved Howard.